Scientists funded by the Medical Research Council have successfully used adult human retinal stem cells to repair nerve cells damaged in glaucoma, partially restoring vision in rats. If the success can be replicated in humans it may eventually lead to new treatments for glaucoma, the leading cause of irreversible blindness in the world, and other degenerative eye conditions by slowing sight deterioration, or reversing it altogether. The research is published in the journal Stem Cells Translational Medicine. Glaucoma occurs when a build up of pressure in the eye leads to the death of retinal ganglion cells (RGCs), which form the nerve fibres of the optic nerve and that transmit visual information from the eye to the brain. The condition can be treated in the early stages, but if diagnosis is late or treatment doesn’t work, damage to the eye cannot be reversed. The researchers looked at whether injecting a type of adult human stem cell, known as the Müller glia stem cell, could stimulate repair of damaged RGCs in an animal model. Müller glia are found in the retina of humans and other vertebrates and are multipotent, meaning they can grow into any of the different nerve cells found in the retina. The researchers used chemicals to induce Müller glia to grow into precursors of RGCs, before transplanting them onto the retinas of rats which had damage to their own RGCs. After four weeks, the injected cells appeared to have formed new connections (synapses) with existing nerve cells and the rats had significantly improved retinal function when their vision was tested under very low light conditions. The scientists hope that, with further work, they will be able to develop new treatments to improve or restore vision in patients with untreatable glaucoma. 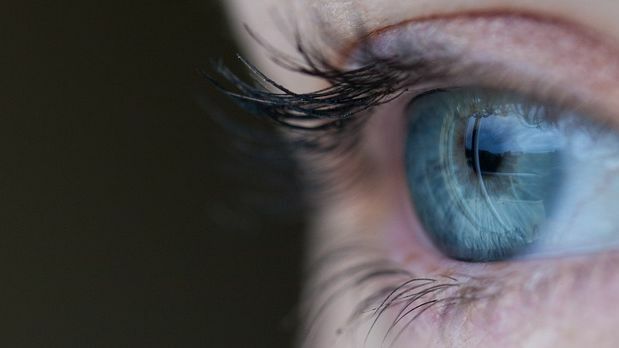 Dr Astrid Limb, who led the study at the UCL Institute of Ophthalmology, UCL, said: “Although this research is still a long way from the clinic, it is a significant step towards our ultimate goal of finding a cure for glaucoma and other related conditions. We are optimistic that after further work on animal models to perfect our transplantation technique we will be in a good position to start early-stage clinical trials on humans in around three to five years. The research was carried out by scientists at the UCL Institute of Ophthalmology and Moorfields Eye Hospital, London. It was funded by the MRC, the Helen Hamlyn Trust, Fight for Sight, Moorfields Special Trustees, and the NIHR BRC at Moorfields Eye Hospital and the UCL Institute of Ophthalmology. Patents to this technology are held by UCLB. Moorfields Eye Hospital/UCL Institute of Ophthalmology NIHR Biomedical Research Centre is a partnership between Moorfields Eye Hospital NHS Foundation Trust and the UCL Institute of Ophthalmology. Established in April 2007, its purpose is to conduct ‘translational research’ that is designed to take advances in basic medical research from the laboratory to the clinic, enabling patients to benefit more quickly from new scientific breakthroughs. Our centre is currently one of 12 biomedical research centres that were awarded in 2007 to NHS/university partnerships with an outstanding international reputation for medical research and expertise, and experience of translating that research into the clinical setting.